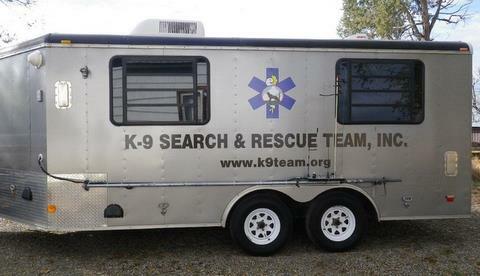 Joining The Team - K-9 Search and Rescue Team Inc. There is a link at the bottom of this page called "download our application". The application is also under "Documentation, Forms" found in the left sidebar. Do I have to have a dog to be on the team? No. We have several different roles that a team member can fulfill. What kinds of roles are there in the team? There are many roles that a member can take including handler, navigator, base support, and even non-field deployed personnel (individuals with skills who do not deploy in the event of a mission). Click on the position title to view a PDF of the full position description. A person who is actively involved as a trainer and handler of a search and rescue dog. Responsibilities include training (both for yourself and your canine), attending public relations events, and responding (when able) to deployments for missions. Handlers should have good navigation skills in the event a navigator cannot be deployed with them. This team member is responsible for assisting a dog team (handler and canine) during a mission by coordinating radio communications, navigation (both GPS and compass), and the safety and care of the dog team at all times. A vital part of the team is the base support personnel. These personnel remain on our mobile command center and help coordinate all communications between the field teams and the other search personnel on site. In addition, these team members provide logistical support such as medical and food services. These members of the team are crucial to the safe, efficient operation of the team and assist with specialized skills that supplement those of the field team. These include financial, legal, logistical, medical, and operational consultants. These team members ensure that the field team have all of the necessary support they need when they go on missions. Most of our non-field deployed personnel are ex-field team members and have years of operational experience. I am only 16 years old, can I still join the Team? Yes! We have Cadet program that is open to young adults ages 16-18. For more information about the Cadet Program click here. 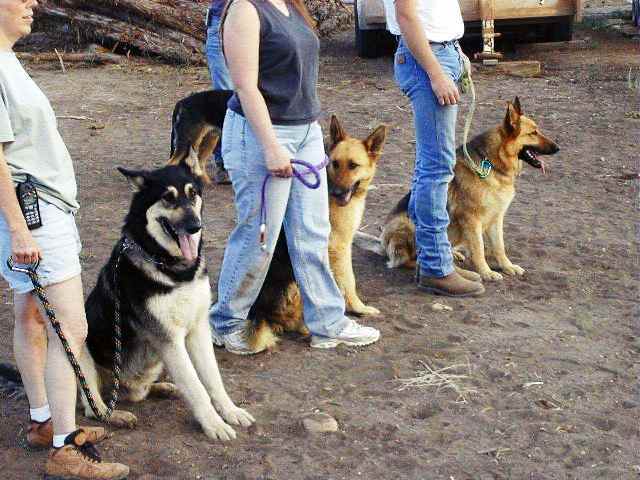 I see you have a German Shepherd on your site - do you ONLY use German Shepherds? No - we have team members who own several different breeds. So what kind of time commitment does it take? Well, the team holds regular monthly events such as our business meeting, equipment checks, classroom training's, and a visit to a local retirement home. 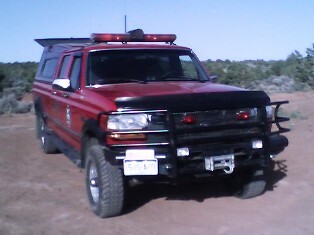 In addition, we hold training's in the field, and of course, time spent on actual missions. However, team members are expected to supplement training of their own, either with their dog or navigational/ operational skills. When does the team go on missions? Anytime we are called upon. Twenty fours a day. 365 days a year. Whenever we are needed. We never know when or for how long we might be gone - but we go anyway. We prefer to deploy as a team - that helps us minimize the team's impact on a search, and ensures that everyone, and everything, arrives in one piece, where we need it... when we need it. Why does the team do this in the first place? Good question! Volunteers make up a HUGE percentage of the search and rescue community and even more so when talking about canine teams. There are so many reasons that team members do this - saving a life, bringing closure to families, supporting communities in times of natural disasters, and so much more. OK, so you have me interested... what do I do now? First of all, give us a call or drop us an email - we'd love to hear from you. Guests are always welcome at our meetings, so come down to the doghouse at 35, Railroad Avenue in Dolores (next to the Dolores Firehouse) and meet us. Then if you are still interested, download our application, fill it out and drop it in the mail to us - we WILL be in touch!